is the theme this month at FSC. and fits our theme ~ ‘under the sea’. 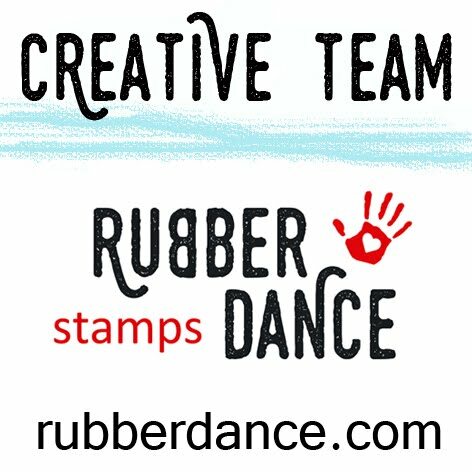 So this is your chance to show us your creativity! It can be scrappin’, journaling, canvas’s, cards or altered art. 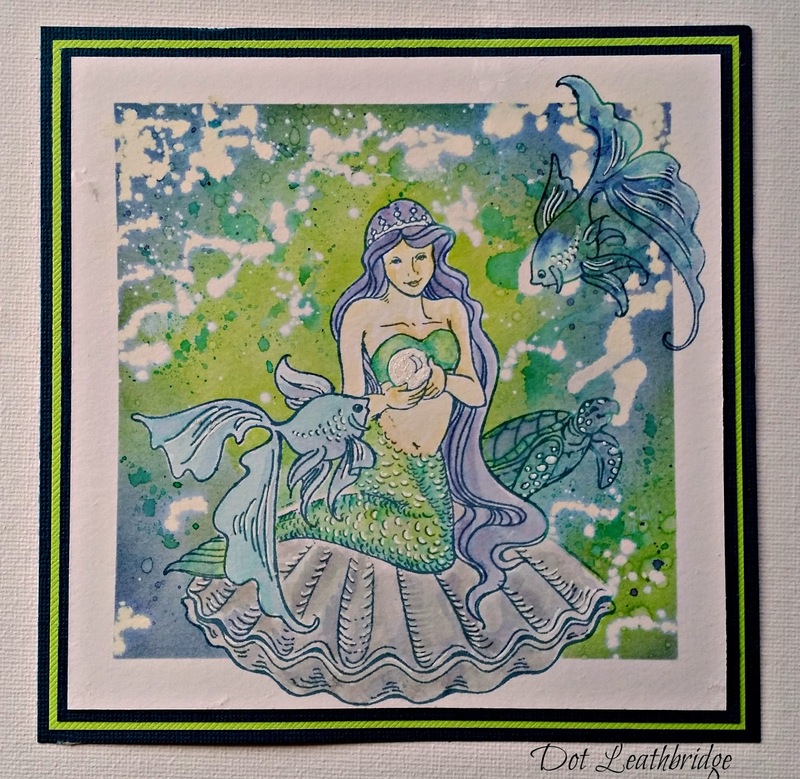 I’ve combined the Mermaid set with the Goldfish Pair from Stampendous for this make. and plain old distress inks in twisted citrus and chipped sapphire were used. I think these colours work so well together. and left the masks on while I inked the background. A little extra ink splotched on with some plastic, and then some bleach. Now, it is about at this time that I decided that I wanted more white space towards the top – so more bleach! I like how it looks like the light is filtering down through the water. The images are colored with Derwent Inktense watercolour pencils. And of course a little white gel pen, because it just isn’t finished without it. This is gorgeous, love the beautiful background and mermaid. Fantastic Dot she looks sooo pretty on the substrate used (lol). Seriously the card is amazing. A beautiful card Dot, great masking and stamping to achieve this lovely underwater scene. The bleaching does give a fabulous effect of light filtering down. Hi Dot, this is a beautiful card. Great background and wonderful underwater scene….fantastic! Well done Dot! Loooove this one – very clever and very well thought through. Super use of bleach and colours are wonderful!